"I'd like to buy a vow(el)...renewal!" 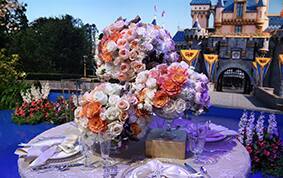 Tune in tonight for a special episode of Wheel of Fortune celebrating Disney's Fairy Tale Weddings & Honeymoons and the vow renewals, weddings and honeymoons we're lucky enough to help make come to life on the daily. 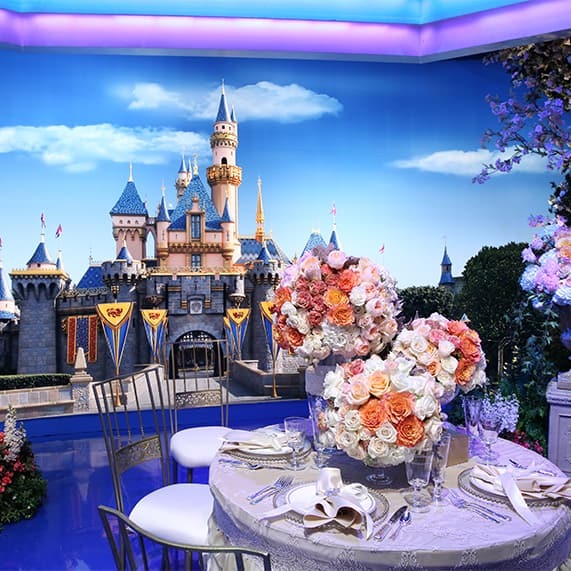 We can't wait to sport our Happily Ever After Side as part of Show Your Disney Side Week and cheer on couples as they spin for a chance at Disney's Fairy Tale Weddings & Honeymoons experiences. 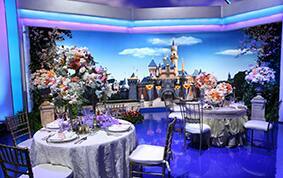 I wanted you all to be among the first to see the Wheel of Fortune set that we helped transform into a fairy tale soiree- complete with gorgeous floral centerpieces, glitter table linens and towering wedding cakes- so I'm sharing an inside peek at what you can expect to see during tonight's show. 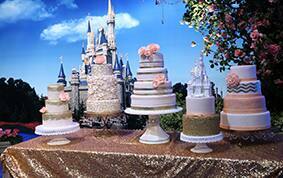 I don't want to give anything away, but let's just say the episode definitely ends with a happily ever after! 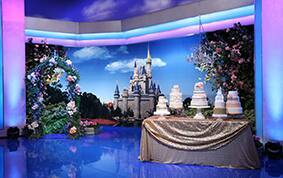 Be sure to check your local listings for show times and tune in tonight to watch Disney's Fairy Tale Weddings & Honeymoons on Wheel of Fortune.